In this episode, Iyu's blood-splattered past has come back to haunt her and do more damage. How can Chihiro calm here down when a familiar figure from 5 years ago makes his return? 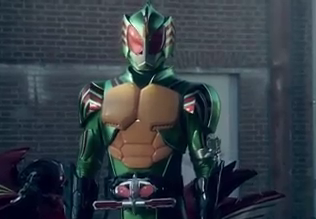 Kamen Rider Amazons season 2 episode 2 clips now online! "Why am i doing this..."
"Everything's going to be fine..."
Where is haruka's amazonian scar tho? He looked so badass with that scar. That intense scene when Haruka arrived, best Rider comeback ever!